Feather tattoos are very popular, mostly among young women who wishes to achieve that ‘carefree hippie’ vibe. They also imply a sense of emancipation and light semblance. It also looks less threatening than say, a skull with cross bones, mommy will probably let that one pass. Kidding aside, a feather tattoo is originally a symbol of death. But it also depends on the specific type of bird the feather is from. For example, owl feathers are believed to signify mystery and intelligence. Let’s go back a bit with its Native American roots and animism. Black Colored Feather Tattoo on shoulder for girls. This feather tattoo is very small and best for the women. The feather tattoo can be traced back to mostly Native American origins, after all, feathers are often used in their rituals. The feather is a big deal to the Native American culture. To them, the feather represents the spirit of the bird. This is why, in some movies, a falling feather serves as a harbinger of things to come.The feather is heavily associated with the spiritual realm. It’s also used in clothing, tools, jewelry and many more. Some people get feather tattoos to represent their Native American heritage. There are many variations of feather tattoos such as dreamcatchers, headdresses and totem poles. Each has different meanings of their own. Nowadays, feather tattoos are interpreted in many ways. From freedom to courage, everyone has their own version of the meaning behind their tattoos. I hear many people complaining about the lack of imagination with all these girls all getting tattooed with the typical feather exploding to birds and sh**. Well, that’s just mean. But we definitely won’t be blaming you if the poor girl has got it done by some scratcher. But all in all, overused and overrated or not, the feather is still a good choice for a tattoo. Artists always find ways in taking it up a notch, and come up with incredible ways in making a simple design stand out. Never ceases to amaze us. This back feather tattoo is spectacular and visually appealing. The black color is sparingly used on the design making the feather tattoo look quite appealing. The design is suitable for the ladies and the place its worn on upper back seems appropriate. Such a beautiful blend of colours making the combination of the feather tattoos to appear large and appealing. one interesting thing about feather tattoo is the fact that it can be worn on any part of the body. 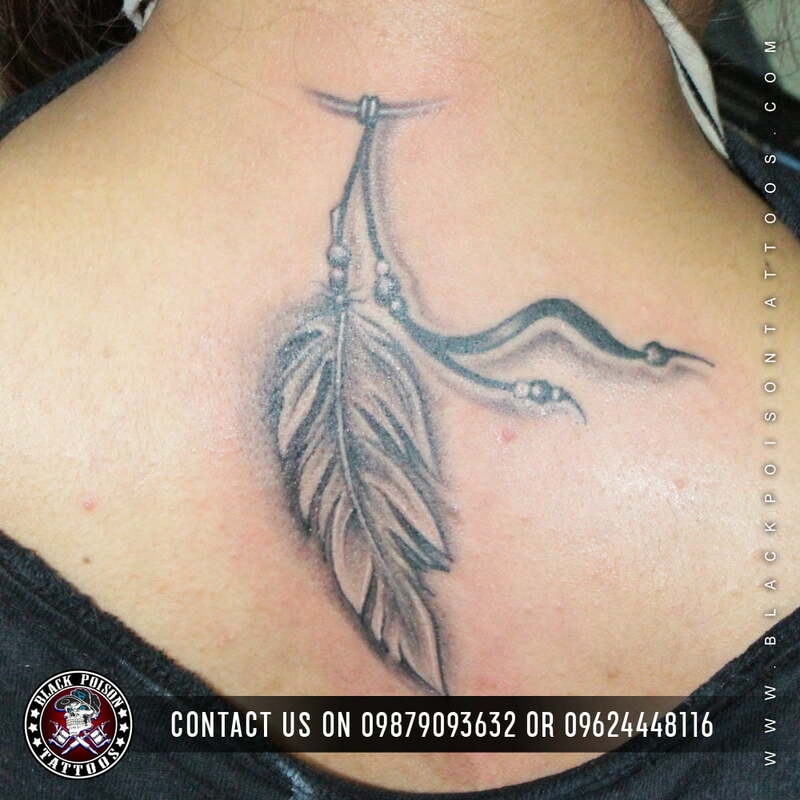 Feather tattoo can also be combined with other tattoo designs resulting into quite an appealing look. One thing that makes feather tattoos stand out is the ability of the colours to blend so well, making it a great preference for women. The tattoo below displays a fine mix of colours that brings out colour combination quite well. Feather tattoo comes in different designs and are ideal for both men and women. Feather tattoo designs symbolize different things with many cultures like the Native Americans perceive wearing a feather tattoo to reflect on their rich heritage or is in touch with their spiritual side. Most people choose feather tattoos of birds with characters they like to identify with. This colorful feather tattoo is spectacular and visually appealing. Colors are sparingly used on the design making the feather tattoo look quite appealing. The design is suitable for the ladies and the place its worn behind the upper back seems appropriate. Feathers are often thought of to hold symbolic meaning since they belong to one of the most beautiful living creatures, gifted with the incredible ability to fly. There is no doubt that feathers will remain a favorite tattoo design in terms of looks and meaning. However, once you have gone through some folklore, cultural significance and traditions, you will quickly notice that feathers are often used in tattoo designs to strengthen the meaning of life, freedom, liberty, independence and triumph. It can, at often times, also symbolize one’s ability to showcase their individuality. Feather tattoos symbolize different characters as found in birds like truth, courage, bravery, freedom, travel and more. Some cultures and civilizations view feathers as messages from the spirit world. Among the Native American culture, the feather tattoo holds the significance of a spiritual protection. The dream catcher, a widely known Native American folklore symbol has a feather attached to the bottom portion, said to be the vessel that bad dreams wash away through. This symbolizes protection much as an amulet does in other cultures. Feathers were even part of the attire worn by Native Americans from different birds indicating their individual status. Often times, wearing the right feather would provide them with protection as they entered the spiritual world. Feather tattoos are also taken to symbolize good dreams. Most people use feather tattoos that appeals to their beliefs. Those who live in magic or sacredness can wear tattoo from a bird that they feel demonstrate the character of magic or sacredness like the Egyptians believed feathers were associated to sky gods. As the type of bird feather can often symbolize a stronger meaning, eagle feathers were thought of as a symbol of bravery and honor. Warriors were awarded these feathers in appreciation for their courageous feats. For this reason, you may often see military forces utilize feather tattoos more than others. Some cultures believed that a feather flying into your path meant that a soul had left the earthly realm. In certain cultures the feather was an important part of rituals and ceremonies. Christians endowed the feather with having many virtues and this shows in many feather based tattoo designs. It was part of the design on signet rings with each feather representing something specific. Feather tattoos are also used to get in touch with the spiritual side of an individual and some Christians believe that a feather signifies virtue. The image of the famous signet ring made of feathers has each feather symbolizing faith, charity and hope. Small feather tattoo with birds are also famous. This tattoo can be inked on your back. One of the commonly used feather tattoos is the eagles. An eagle’s feather tattoo is perceived as a great symbol of significance. In some cultures, eagle feathers were given to warriors as a symbol of bravery, courage and honour. Quotes are best matching with Feather Tattoo. There are lots of quote ideas which can be matching with different feathers. Among the Celtics, it was believed that the medicine men (the Druids) would don robes that had feathers on them for special occasions. Egyptians also made use of feathers to appease the Gods. Some believe that feathers represent dreams as they are beautiful to look at but difficult to grasp. The feather represents freedom of movement and the ability to float over most obstacles. Due to these historic meanings is why so many people incorporate feathers into their memorial tattoo designs, honoring loved ones that have passed on. The feather has been associated with new beginning. Different colored feathers mean different things like white means purity, red for passion and yellowish hues signifying smartness. The birds of different birds can mean different things. The most popular ones in terms of tattoo designs are the feathers for Peacock, Parrot, Eagle, Egret, Ostrich, Swallow and the Turkey. This is a beautiful feather tattoo that’s well designed and ideal for young ladies. The colours used on the feather tattoo design makes it more appealing. Some connect feathers to angels and other celestial beings since feathers make up wings which these beings are supposed to have. The symbolism of feather tattoos include the truth, quickness, lightness of body and spirit, ability to fly, protection, hope, dreams, courage, the movement of the soul, a promise and the ability to float along. The feather tattoo looks simple and ideal for girls. The black colour used blends well with the girls complexion making the tattoo quite visible. One great thing with the feather tattoo is that it can be placed anywhere in the body. The feather tattoo can fit well on the arms, legs, shoulders, upper back, lower back. The design can be done in different varieties and sizes. Use of a mixture of colours enhances the feather tattoos. This Tattoo is out of the world because of its grey shading and customization of names with father and flute. In the Celtic symbolism, Morrigan wore a cloak of raven feathers as a way of transforming into a bird. It’s believed that aspect of turning to a bird enabled her to access higher reasoning and a birds eye view of spiritual realms. With so much choice, culturally rich significance and so many positive qualities being attributed to the feather tattoo there is no doubt that you will be uplifted when you get one. But do consider all the possibilities in terms of design, the deeper implications and do some soul searching as to why you really want this tattoo before actually going ahead with it. Great design of feather tattoo that’s well complemented with quotes and flying birds. Birds spirits are said to be powerful in cleansing the energetic environment and purifying the spiritual atmosphere. It is believed in some cultures that waving a feather over sacred fire is a way of uplifting the soul and giving gratitude to the birds. The feather tattoo above seems simple and fabulous. Very minute but rich in colour and design. The place its worn makes it look special to the wearer as not many people are able to recognize the tattoo making it quite ideal for girls. The feather tattoo can be made to look really stunning with the use of colors and the addition of some significant things like beads and other things. You can choose to get a feather tattoo as a symbol of dedication for someone you adore or as a talisman of protection or to remind you of your dreams. This peacock feather tattoo looks cute, the colours blends so well enhancing the entire appearance of the arm. Feathers are also believed in some cultures to deal with communication. Feathers are viewed as messages from the spiritual world and by wearing feather tattoo it’s perceived that you will be able to get powerful messages. Colorful Birds with feather tattoo ideas for girls. It is looking cool. The Native American Wisdom views the feather as an embodiment of bird spirit. It’s therefore perceived that if you wear feather tattoo, you carry the attributes of the specific bird you’re wearing its feathers. If the bird is perceived as peaceful like a dove then you assume to be an embodiment of that sweet spirit of peace. There are lots of designs in tattoo art. Feather is one from them. Feather tattoos have different meaning. A feather tattoo present the meaning like loss, luck and birth. Normally feather tattoos are used to show freedom like a bird. Feather tattoos are the famous tattoo designs for both men and women. Feathers are the oldest tattoo ideas. Feather tattoo also represents positive attributes, beauty. Feather tattoos are available in all sizes like small, medium, and large. Even feather tattoos are available in different colors. You can have these feathers tattoo on the ribs, hands, lower back, upper back, shoulder, feet. 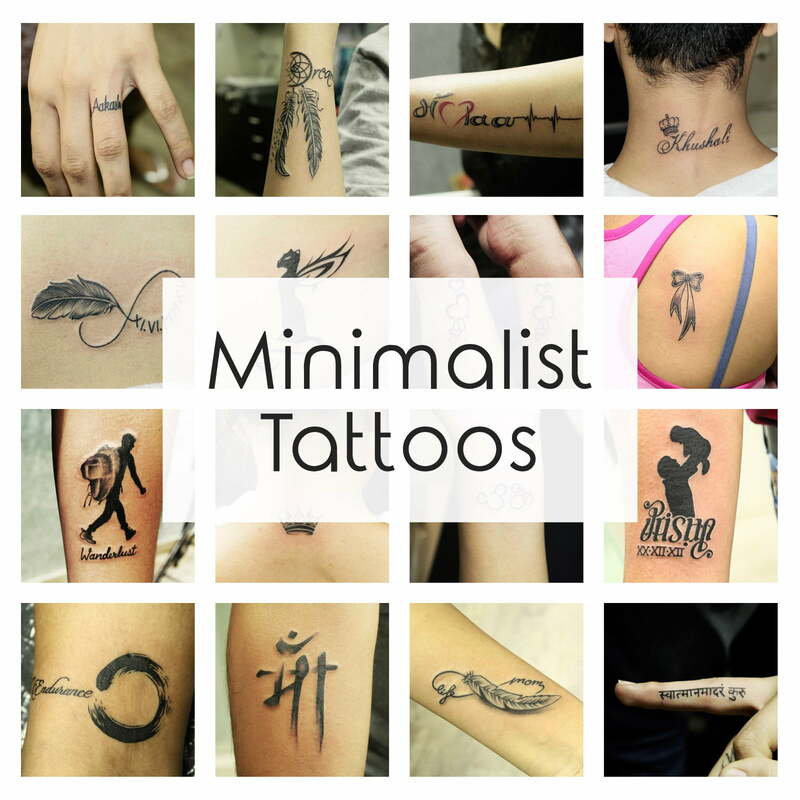 It’s depends on you where you want to get these tattoos on your body. The feather tattoo is simple and stunning in design. There are various feather tattoo designs which can mix with other tattoos. You can mix these feathers with quotes , words, infinity, rose, birds and many other tattoo ideas. There are many birds whose feathers can be one of your tattoo choice like Phoenix, peacock, eagle, dove, and many more. This tattoo displays a fine mix of colours that brings out colour combination quite well. Feather tattoo is one of the best choice to get inked. If you want Feather tattoos on your body parts then you can get these tattoos on wrist, ear, behind ear, ribs, rib cage, thigh, under arm, upper arm, you can also get feather tattoo under your eye, on foot on side, ankle. If you want feather tattoo in large size then you can get it on your back. Today feather tattoo is a popular tattoo idea for women because of its cute and colorful attribute. It’s flexible in terms of tattoo placement. Back, side, sleeve, foot are all seen good body parts for feather tattoos. The blend of feather tattoos below does not only look attractive but are placed in such a nice place. This feather tattoo looks suitable for ladies with the mix of colours enhancing the look of the place it’s placed. Feather tattoos are equally important among men and women, because their symbolic meaning make them relevant for both the sexes. Feathers have commonly been used as tattoo designs since distant past and they have a deep rooted, significant meaning associated with them, when used as tattoos, both among men and women. These designs continue to be popular and sought after ones till date, between both the sexes. Feathers have always been the object of fascination for human beings, as they are associated with birds, the exquisite flying creatures which stand for freedom, independence, triumph and liberty and these tattoos, which incorporate beautiful feather design, symbolize the power of birds. In fact, feathers can not only add an amazing beauty to a tattoo design, but also give it an absolutely new meaning and significance for the bearer. This feather tattoo with birds looks quite lively. The flying birds indeed symbolizes freedom and the colours used on the design makes the entire design look great. The design looks pretty cool on girls. They are all about giving freedom to the individuality of a person and establishing him as an individual in his own right. In Native American culture, feathers were used as a protective talisman, which is the reason why these made an integral part of dreamcatchers, as a hanging on the bottom part, as they were considered effective for trapping bad dreams and negative energies, and providing protection from nightmares. The culture also regarded the feathers as a symbol of nature and revered them for the same reason. The black feather tattoo above looks cool on the arm and very simple like the type of bird it’s derived from. In Native American cultures, feathers represented the spirit of the birds they belonged to and these feathers were used by them in their ritualistic ceremonies, for the purpose of purifying and energizing the environment with their positive spiritual energies. Feathers of different birds had their own different meanings. For instance, eagle feathers were presented to warriors as they stood for bravery and courage, besides having the ability to help the recipient soar high in life, in worldly as well as spiritual sense. This is the reason these tattoos were seen mostly on the bodies of military forces. At the same time, these feathers were of tremendous spiritual value in Native American culture, as they represented wisdom and spiritual communication. This black feather tattoo looks magnificently designed and quite appropriate for the upper back of a girl. In some cultures, a fallen feather depicts a departed soul, while others take it as a sign of birth. It is also said that feathers stand for the communication of a person with the departed souls as they convey the messages from the spirit world. Christianity has said about the feathers being related to great virtues and an image of a signet ring. Bearing three feathers was a symbolic of charity, faith and hope, with each of the three feathers representing one of these virtues. In ancient Egypt, feathers were used in worshipping the Gods and a feather tattoo stood for the wisdom of the Egyptian Goddess Matt, the Goddess of truth and justice. It was believed that she compared the weight of the heart of the deceased with that of a feather, while carrying out the mummification process. If the heart was as light as the feather, the soul was deemed as pure and the spirit was considered fit for further evolution and could move freely into the next phase of afterlife. According to Celtic mythology, the people with superior powers wore cloaks adorned with feathers for some special ceremonies. In the legend, Morrigon wore a cloak of raven feathers to get transformed into a bird, which gave her a power of higher reasoning to understand the world in a better way. As like feather tattoos Koi fish tattoos has its own cultural significance and historical background. Besides the designs of feathers and the birds they come from, the color of the feathers have their symbolic meanings too. For instance, white stands for purity, yellow for smartness and red for passion. Just like feathers are associated with spiritual heights, liberty and freedom, feather tattoos are all about dreams, higher intelligence and spiritual uplifting. They stand for movement of soul and ability to float despite all kinds of obstacles. As different birds have different types of feathers, there is an equally vast variety available in terms of tattoo designs for people to pick from. But this must be done after proper research about the deeper meaning to be signified by the feather tattoo. Besides the regular designing of the feather tattoo, some modifications can go a long way in enhancing its beauty and overall look. There have been examples of use of vivid colors and adornments such as beads to make these tattoos even more impressive. Feather tattoos are equally important among men and women, because their symbolic meaning make them relevant for both the sexes. While men love to have them adorned because they mean power, freedom and strength, they look great on women too. When it comes to the exact placement of feather tattoos on the body, there are a number of options where these tattoos can look good.